What comes into your mind everytime you hear the word –BINONDO? Chinese?! Eng Bee Tin Hopia?! Kalesa?! Me, I’d defnitely think of FOOD! Yummy chinese food. Mami, siomai, siopao, dumplings! Oh! Heaven it is! 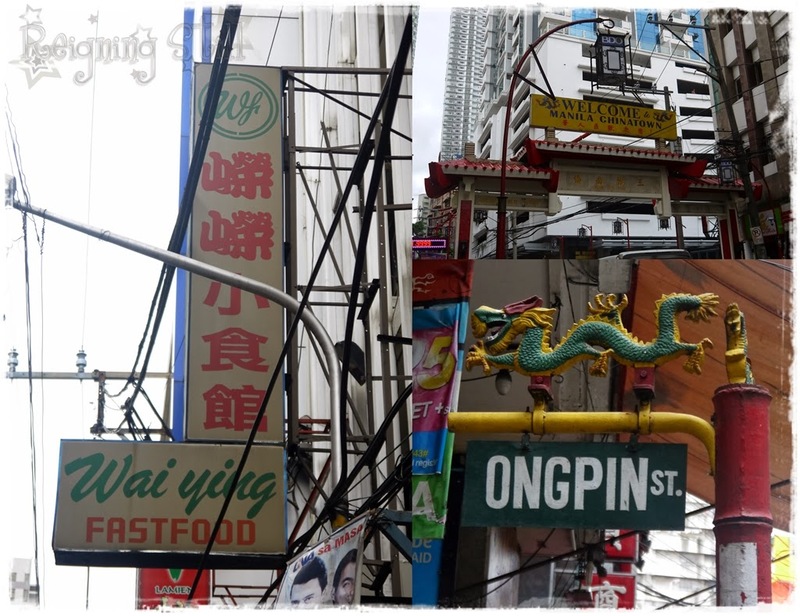 And despite it being a haven of the best chinese restaurants, where you could do countless of food trips, there is only one place in Binondo that I’d frequent and that’s none other than Wai Ying! I was introduced to Wai Ying a couple of years back by my Chinese officemate Joan. She said that we could find the yummiest and most affordable authentic chinese food in Wai Ying. I am a sucker for siomai and dumplings so I gave it a try. And eversince, it never failed me and has become my comfort food. I am a regular customer already. Brought my entire family and some friends over coz I want them to try the goodness that Wai Ying offers. It’s just a hole-in-a-wall restaurant and looks kinda dingy but believe me! They are the best. And well, out of the gazillion times that I’ve been there, I never had stomach issues (and I have very sensitive stomach I tell you) so I guess that’s an assurance that they serve clean food. I was introduced to the goodness that is hakaw by Joan and Len. And eversince, it has been a staple on our table. Hindi pwedeng walang hakaw pag nasa Wai Ying ako. Sometimes, I’d even go there just for the Hakaw. It’s actually a dimsum with shrimp fillings. And it’s best paired with their special chili sauce, calamansi and soy sauce. Be warned though, coz Wai Ying’s hakaw is kinda addicting! Promise!! I love century eggs. Combine it with my favorite siomai and I’m in heaven. Though this dish is not for everyone. Some of my friends didn’t like it but I was oh so addicted to it. I love that the century egg doesn’t overpower the siomai. And that the goodness of the siomai is very evident. Although I must admit that it’s something that not everybody could appreciate. Again, it’s perfectly paired with the dip made of chili sauce, soy sauce and calamansi. This is everyone’s favorite! Another dish that is always present on my every visit. The companion and my brother love it. This for me is the best siomai I have ever tasted. It has pork and shrimps in it. And it was cooked to perfection. Simply is the best. I’ve discovered the goodness that is Zhachiang when I saw a nearby table have one at dahil inggitera ako, nag-order ako. I initially thought it was hong kong style noodles but was informed otherwise. It was actually a mami with the soup served separately. The pork cutlets are superb. It was like asado and is so yummy when combined with the soup. It’s also good to eat just that. And they have a big serving. Good for 2 pax actually. It’s so sulit! The first time I tried it was on my first visit with the companion. He’s a “rice guy” so even though I already ordered Zhachiang, he insisted on getting Yang Chow Fried Rice at ginagawa nyang ulam ang pork cutlets ng Zhachiang! Kaloka! But in fairness its good. And I think it’s one of the best Yang Chow I’ve ever tried. It’s not greasy at all. It has generous amounts of shrimps and chorizo and egg. You can even eat it as is. The rice are cooked to perfection. Not too soft (which I hate) or too dry. Highly recommended. I don’t remember how much it is. Sorry. But I’m sure it’s a little over a hundred. I liked this dish because it’s not too sweet like the asado’s I’ve tried. But it didn’t made a huge impact in my life. Hihihihi.. This is another love. But since I always order Zhachiang, minsan ko lang to ma-order but definitely worth it. The soup is perfect to warm up one’s tummy and the serving is huge. I think it’s good for 2 not so hungry pax. Or 2 hungry pax who also got an order of dimsum. Hahahaha! This is Joan’s favorite. I tried this once and loved it but the companion didn’t really like it. Ewan ko sa kanya but it’s really good I swear! I don’t really eat chicken feet coz they look yucky but was able to try once (an aunt cooked for us) and liked the Adobo version of it. 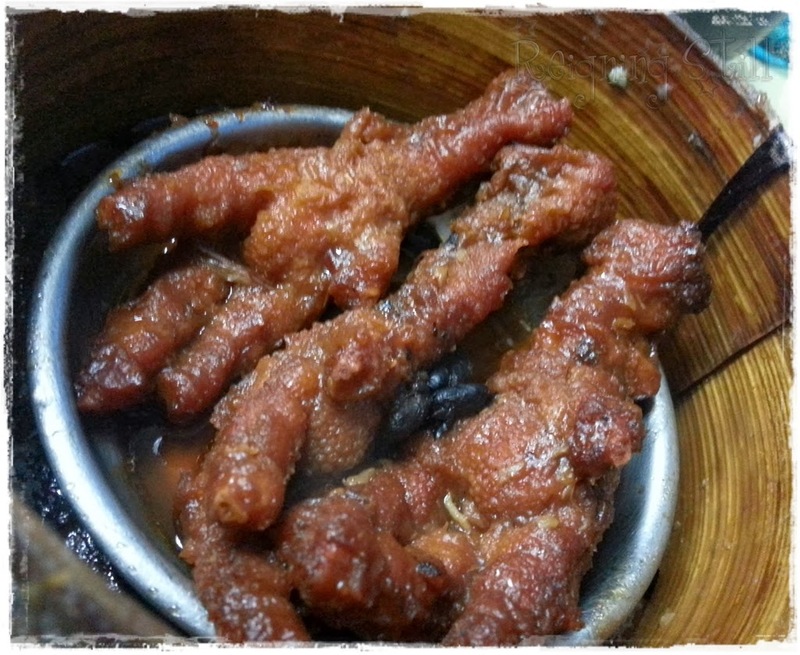 And Wai Ying’s chicken feet is also yummers. Not really adobo coz it’s kinda sweet. But promise! It was good! Ordered it once. We got the 12 pieces if I’m not mistaken because I’m with my sister and my brother. The brother and the companion loved it but me, not so much. I prefer siomai thank you very much. Maybe if you’re the type who prefers fried food, then you’ll like this one. Didn’t remember how much it cost but I think it’s more than a hundred or a little less than two hundred. Best paired with Yang Chow. The one the far left is Milk Tea. They serve the best milk tea promise! Well, for me. Just so you know, I love strong tea so I guess that why I love it so much. The brother didn’t like it at all. Hahaha! The one on the far right is regular iced tea. That’s the one the brother loves. But I like my milk tea better. Probably because its your typical lemon iced tea. Typical, but yummier. Like Wendy’s iced tea level. And the one on the center is my ultimate favorite!! The Milk Tea Jelly. It’s like the milk tea but served with jelly! Oh heaven!! I love love love this!!! Some other must tries that I wasn’t able to take a photo are the Beancurd Roll, their white chicken, their veggie dumplings (better than that dumplings churva resto in Binondo also) and their stir-fried noodles. SARAP! Just thinking about it is making me drool. So here’s what our table usually looks like. Hindi pa naka serve lahat dyan! Hahahahaha! Messy table right??!! And because it’s a Binondo post, let me leave you with a photo of the biggest mooncake ever! This is Eng Bee Tin’s Giant Mooncake. After every Wai Ying visit, we always drop by Eng Bee Tin to get our stash of hopia and mochi. Hahahahaha!! Saya!! 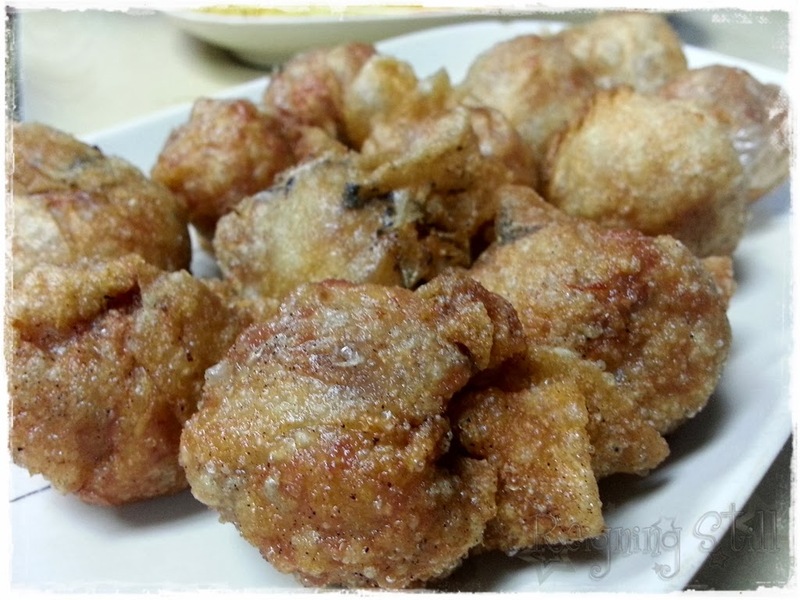 So next time you’re in Binondo, pay Wai Ying a visit! Promise it’s worth it. And very sulit!